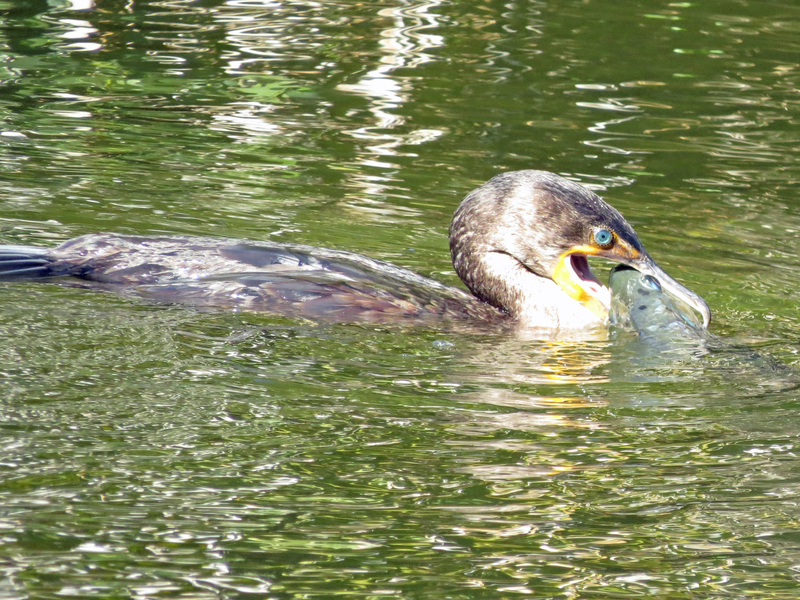 Wordless Wednesday: Don’t Bite More Than You Can… Swallow. Frame by Frame. I said UP you go! Help! He’s trying to escape! OMG! I can’t watch this! 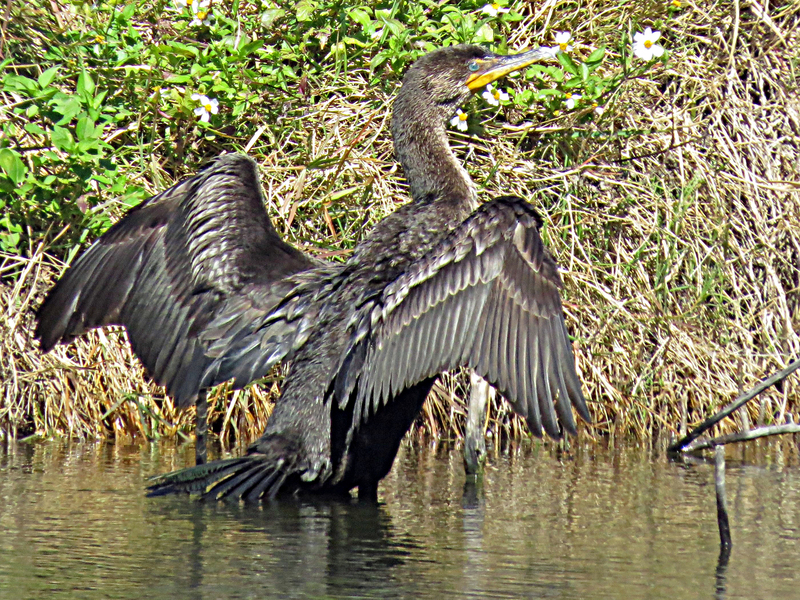 …and flap my wings. Aah, that feels better. Previous PostMonday Musings: Now FlyNext PostRepairs and Drama. In the Windswept Salt Marsh. What a spectacular series! Bravo Tiny! What a great capture Tiny!! 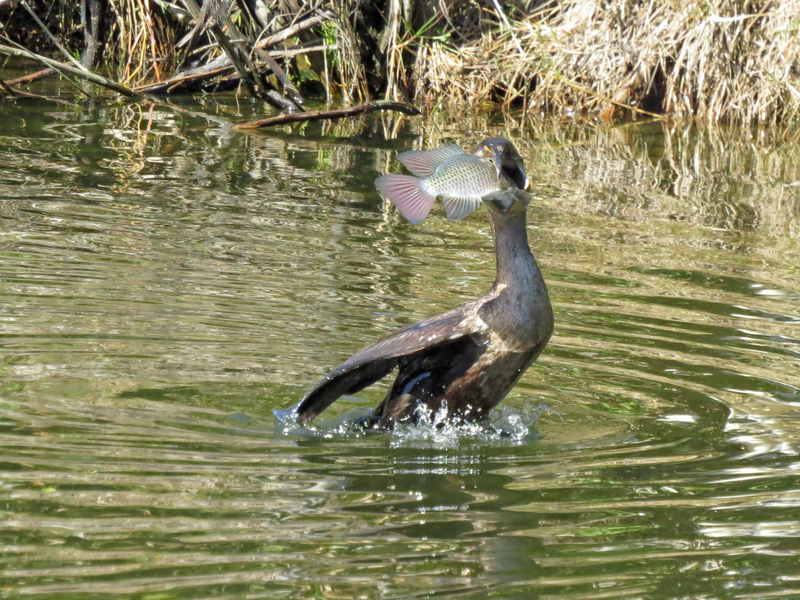 I’d say this bird has a “flexi-throat”. You know, like we have in our jeggings, spandex and all 🙂 The osprey nest is just above this deep part of the marsh and Sandy was truly looking down on the spectacle! 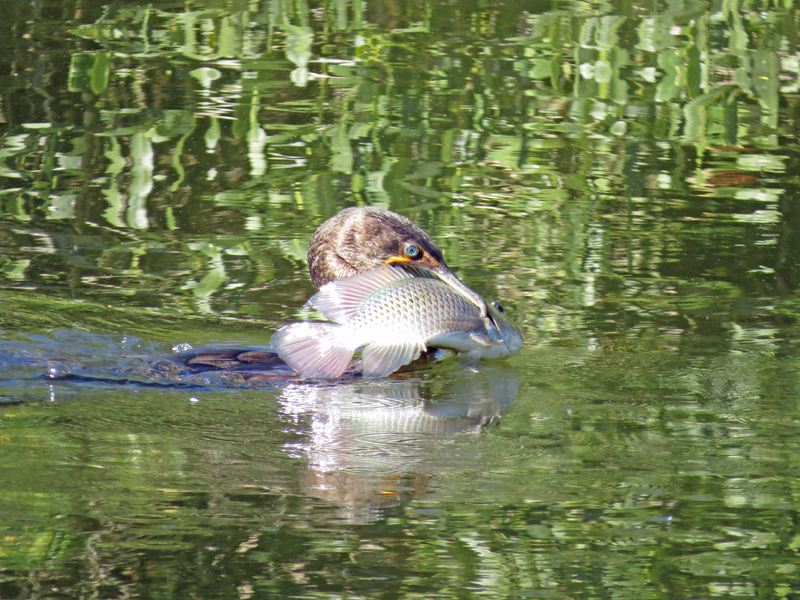 I’m sure she thought “so much fuss about a small fish” …. Taking action pics is not easy, Tiny. I think you are doing an outstanding job of not only getting phenomenal photos, but you as well are learning as you go along. Now, that is how I learn too!! Not with videos explaining diffraction. LOL Couldn’t help but throw that in again …. I’m still laughing. Thanks Amy! It was a 2-3 minute spectacle of swirls and jumps that the other birds watched with interest, I was lucky to have a camera! Wonderful! Especially like the “OMG! I can’t watch this!” shot! Thanks Nancy. That’s one of the funnies birds shots I’ve taken. 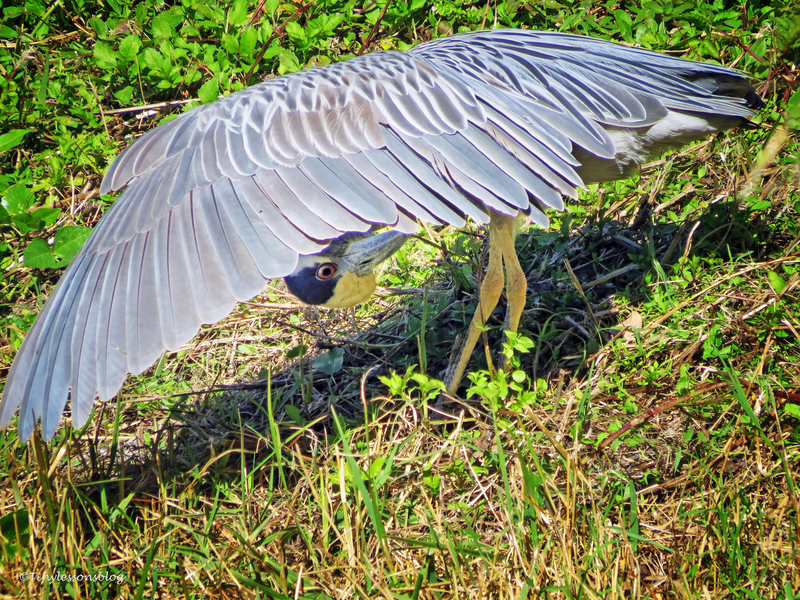 This Night Heron was preening his wings and suddenly decided to peek out from underneath. 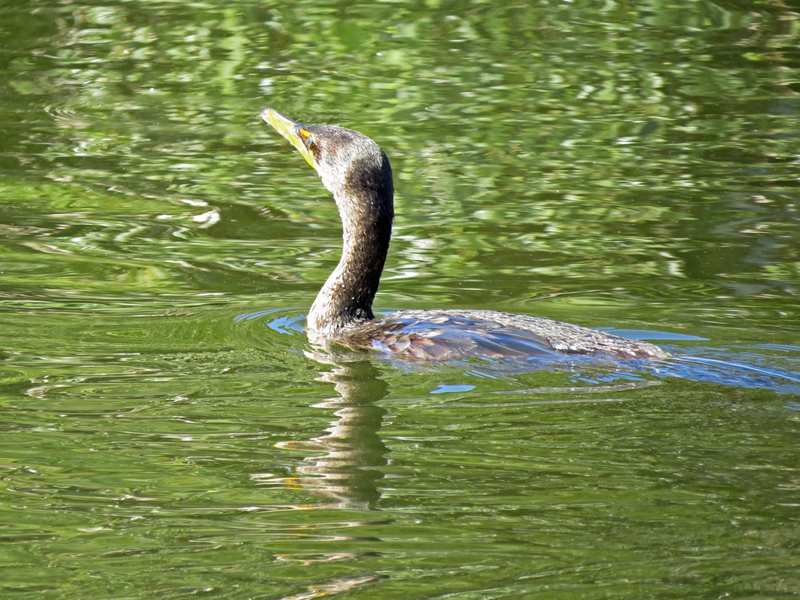 It’s hysterical & perfect for the gullet guzzling gulps of that cormorant. I thought so too…that’s the only picture in that series not taken yesterday, it was sometime last week in somewhat warmer weather. Thanks Cindy. 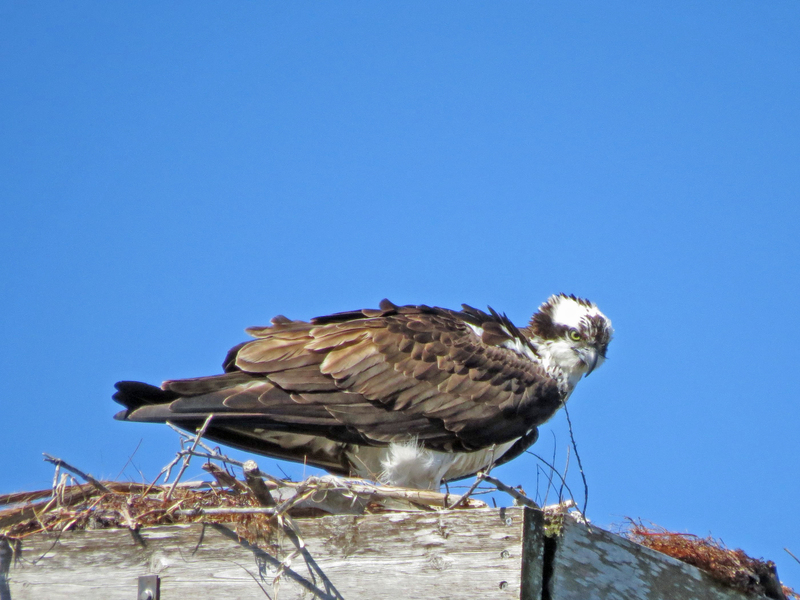 It was quite a spectacle, lasted 2-3 minutes, and “everybody” watched it from around the water, including Mama Osprey from her nest just above. What a show! Well done! Happy you enjoyed his show, Bruce. He’s quite a determined little fellow. A perfect topic for Wordless Wednesday. Not a peep would be possible with a mouthful like that. That’s right! 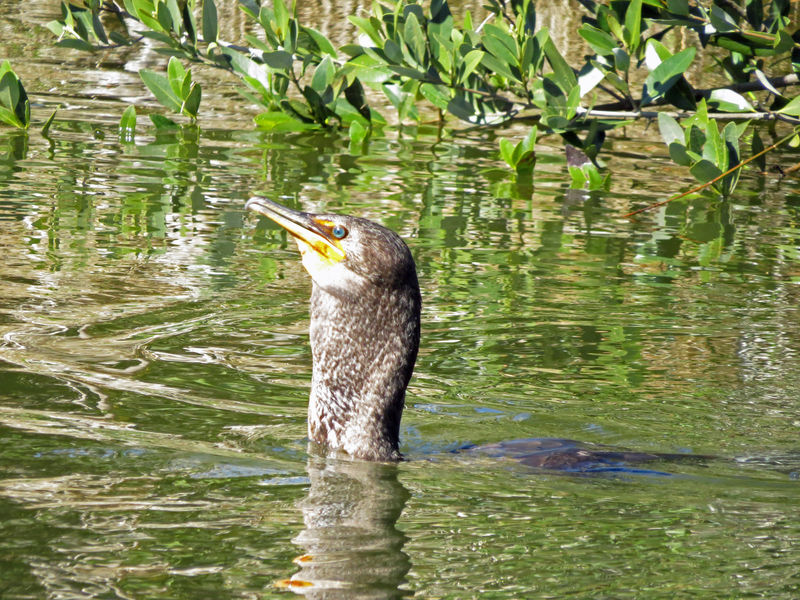 But before the fish went down, the Cormorant was fairly vocal. And Mama Osprey watched the spectacle from her nest right above this deep part of the marsh. Mama O was probably astonished by his lack of table and lack of manners. I’m sure she was! 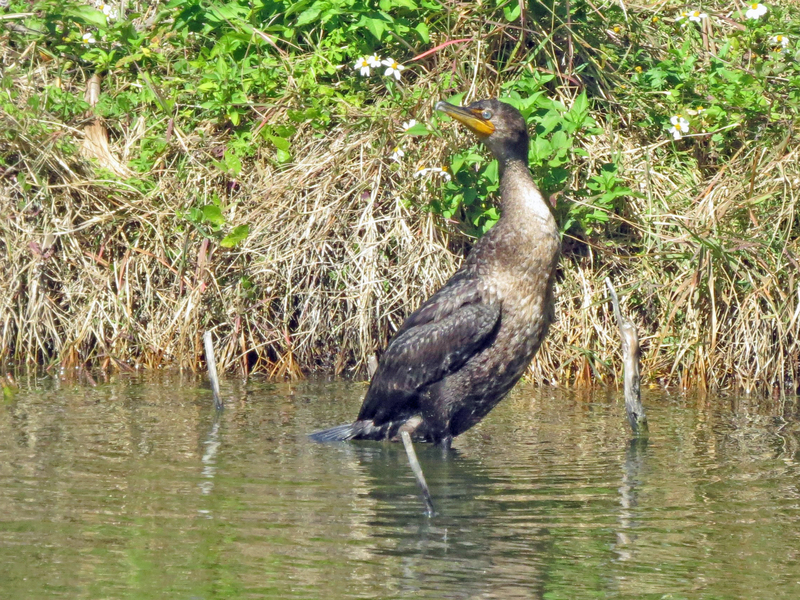 Compared to how elegantly Ospreys fish and eat, Cormorants lack manners 🙂 but have plenty of determination. Happy you liked the photo story, Celestine. Oh my goodness! Super shots! Non-stop action for 2-3 minutes…always fun to witness! Hope you’re having fun over there! It’s been a whirlwind. Looking forward to some non-working time tonight and tomorrow in one of my favourite cities. London is one of my favorites too! Have a blast!! Oh interesting! I’ve never witnessed such an event before. 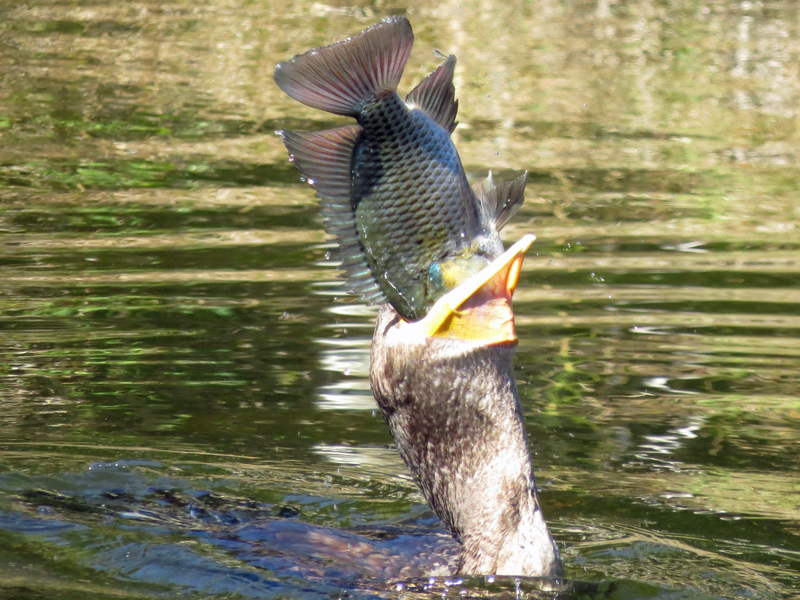 I have to ask/wonder, wouldn’t a fish that size stand any slim chance of escape or damaging the birds stomach if eaten in that condition? Can the bird consume it bones and all?? 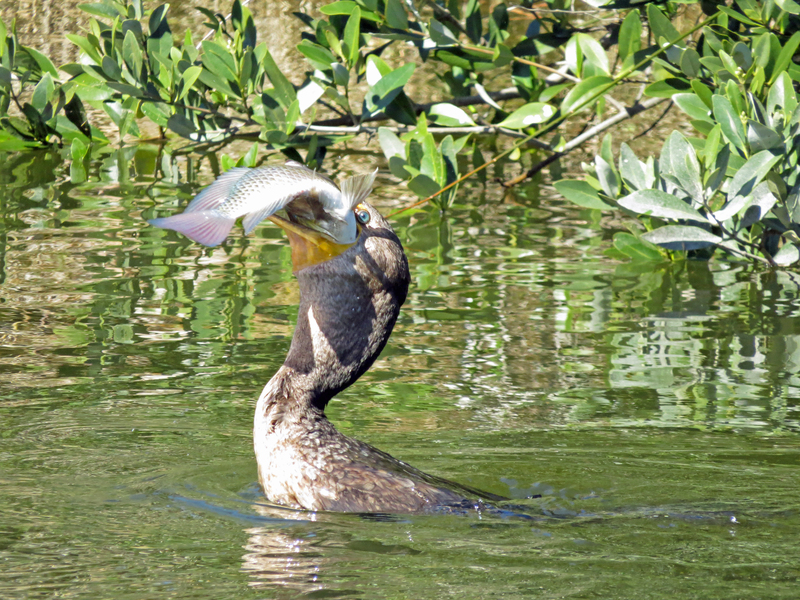 The fish has a good chance of escape, and they do sometimes, but once eaten and pressed down the very elastic throat, they’ll not do damage in the stomach. Everything is digested. Just stumbled across you cool blog again! 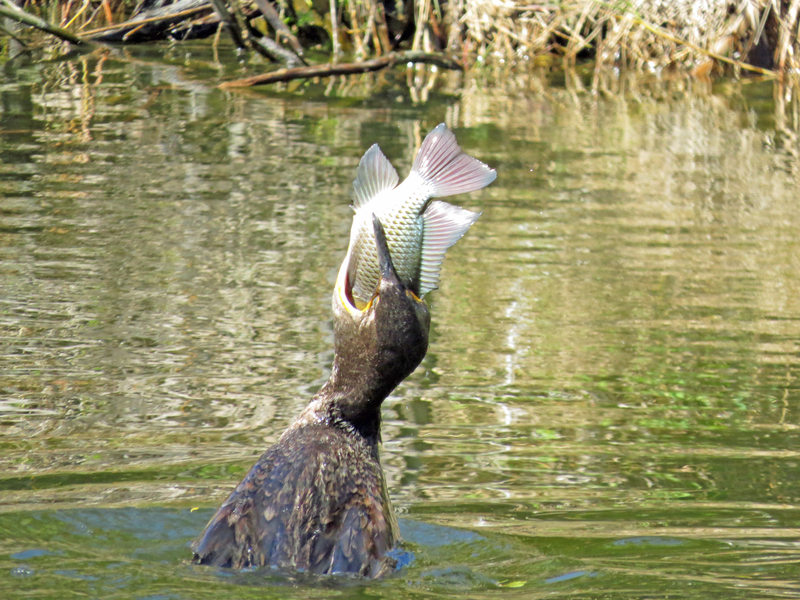 In the image “…but down you go!” was that the moment where the shocked big/spiky fish was destined as dinner for the cormorant? 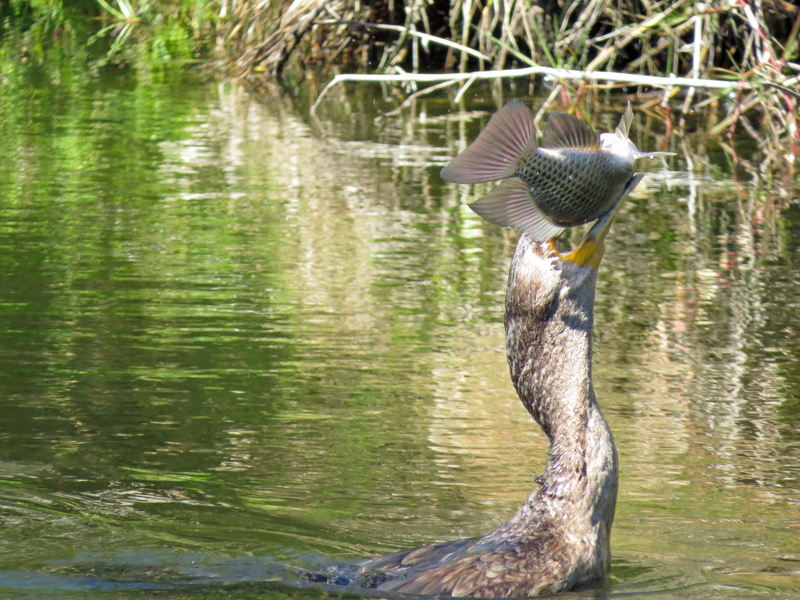 I can’t help but pity the poor fishes fate, hopefully it made a good meal for the bird in the stretching phase! Oh interesting! I have never witnessed an event like this before. I can’t help but think that the fish could wriggle up and out to freedom if eaten whole?? 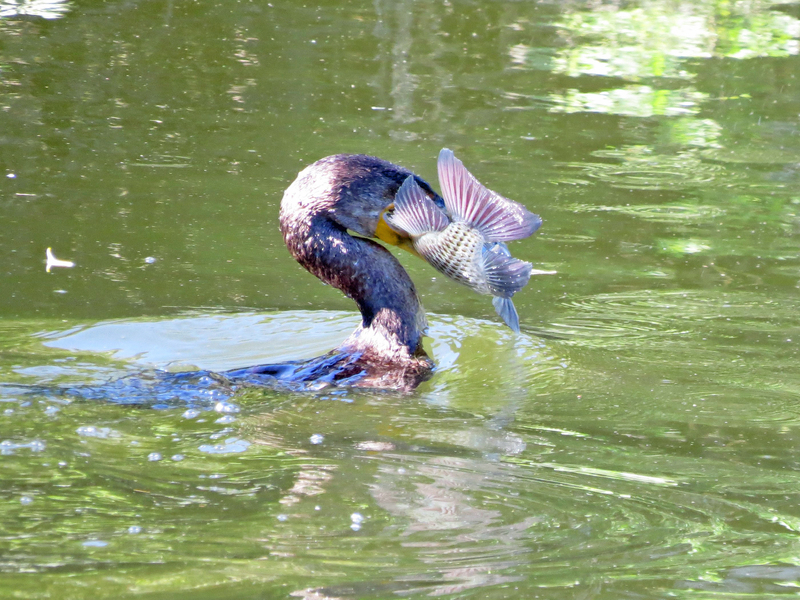 Is the battle truly over and the fish succumbs from life to lunch inside? OH mY! These images are remarkable! 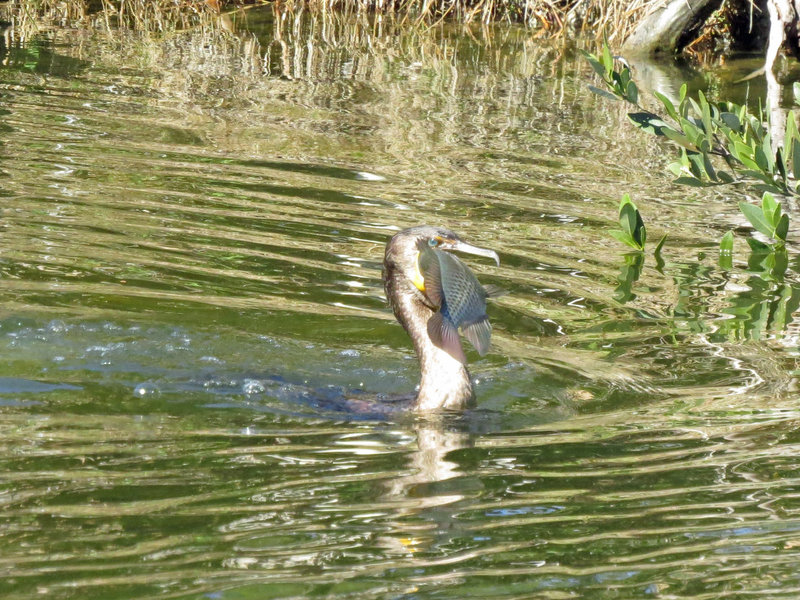 Thanks Elena…I was lucky to capture the whole “big fish eating ritual”. Amazing! I love the story of it all, and the neighborhood of reactions. Did he/she even chew??? Loysin vanhan kommenttisi, ja ajattelin etta olet ehka nauttimassa Lapin mahtavista maisemista ja antimista! Hyvaa kesaa!